Welcome to discovering the Thin Pillar Snail. This website was designed to educate and inform people about the Cochlicopa lubricella (Poro 1938), also known as the Thin Pillar Snail. There is little information on the Cochlicopa lubricella (Poro 1938) and it was thought for a long time to be the same species as the Cochlicopa lubrica (Muller 1774). 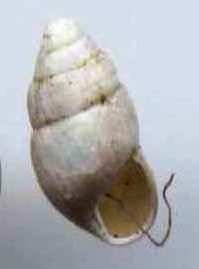 I invite you to dig into the information that is available on this website, about this interesting snail! Lets start by looking at the classification of the Cochlicopa lubricella (Poro 1938).